Temple Adventures on ScubaTribe - ratings and reviews for scuba divers. Explore, show, and encourage scuba diving on the un-discovered eastern coast of India. Welcome to India's first and only East Coast Diving Center. We are based in idylic Pondicherry, where we "Give time a [underwater] break"! Currently dive at more than 20 sites ranging from 5m to 40m depth, with average ocean temperatures of 28 C and visibility up to 40M. We provide training and certification in all PADI scuba diving courses and will guide qualified divers through some of the amazing dive sites in the area. Temple Adventures will soon be in touch. Temple Adventures - 71 reviews. The team at temple adventures were kind enough to include us on a scuba trip even on a last minute notice. The team made sure we had enough idea about suba diving before the training began. They were really friendly and professional at the same time. Pool training was exhausting so that we were ready for the real dive. The temple adventures team had put together a beautiful artificial reef just off the cost of Pondicherry and the dive was literally breathtaking. Will definitely go again. 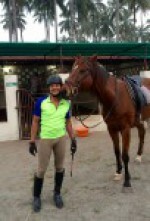 All instructors were very supportive and friendly. They helped us to make this scuba experience awesome. Great experience.. Thanks to Temple Adventures. Is was indeed an amazing experience underwater. The pre-dive training and care (, breakfast precautionary tablet, snacks) taken by Temple Adventures is definitely noteworthy. I thank the entire team! 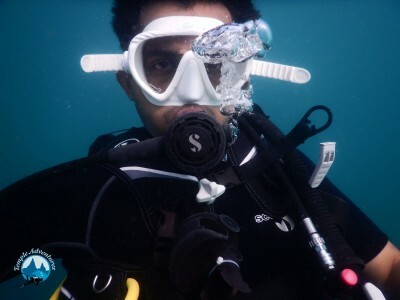 P.s Akhil clicks good pics underwater. I was the unfortunate. 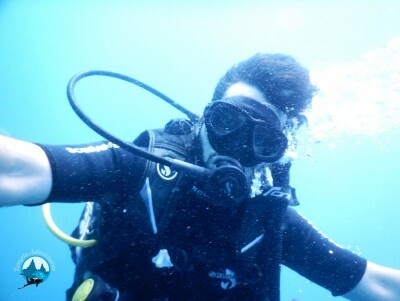 A dive to remember !!! My wife and daughter (both good swimmers in swimming pool) forced me to take a plunge in deep sea....I was bit skeptical about the whole thing as I have a fear of depth !!! But after reaching Pondi and Temple Adventure and meeting the instructors I was at ease more than my family ! After my wife I dived my daughter let me take a plunge....and to my luck it was Rob (Chief Diver) who took me to the wonder world of deep sea....we saw so many fishes and had gone done 12 m (which is max a non certified diver can go in deep sea)...we were in sea for almost 20 to 30 minutes ( I lost count,,,and had never a problem in breathing thru the apparatus )...It was marvelous experience. My wife and daughter happens to dive with Danny's (and they are referred as White Danny and Black Danny)... :)... they too had a marvelous time ...Since my daughter could not go deep and could not be photographed...Danny took her again down and click lots of snaps and took a video too....things we will really cherish for a long time to come. 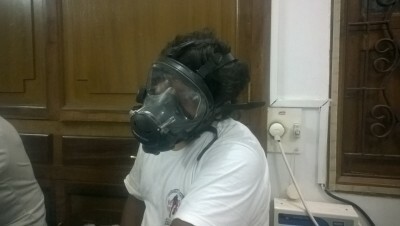 My review will be incomplete if I dont mention the first day tank dive instruction session done by Iyenar (they call him INR) and the office staff who were equally supportive ! Excellent team of trainers, good transport, good boatman, good food, nice place in pondy to dive, recommend to my friends n again coming soon for at least 1 week for scuba aline. What can I say about Temple? I mean it, really, what am I allowed to say? Is this a family friendly site or are people OK with the truth? Reading through the reviews, I should probably keep this to PG rated. That's unfortunately, since that means I can't talk about the REDACTED or about how much fun it was to REDACTED. I definitely can't talk about REDACTED because I'm sure that would get someone into trouble. I can say that I would definitely dive with this crew again. I came for a weekend trip a few months back and I returned four or five more times (working in Chennai for 3 mo). I got to be part of discovering two new sites (it's Cabbage Patch, Jonah, deal with it) and learned more in the last twenty dives than I have since my open water. Not only am I a better diver now, I know a lot more about what it means to work at a dive shop (someday you'll get that "real job" Julian... but maybe after you finally get your REDACTED fixed). 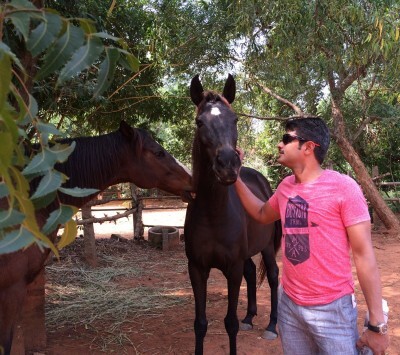 It's been a truly great experience and any time I'm in India, I'll be stopping in again. If any of the crew makes it state side, hopefully they'll let me know (even you, Akhil... or especially you...). From fear to excitement, it was a switch of gear for sure! Wonderfully organised , great team, sufficient equipments, they have it all.. Me and my husband dived with Temple Adv 18-19th Apr as a part of DSD Program (Discover Scuba Diving). Its a special program designed especially for the amateurs and non-swimmers, basically the kind of people who love to have a taste of variety cuisine! A briefing and pool session is to help you simulate to the actual dive! 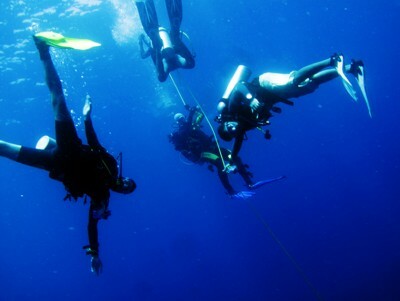 With a team of expert divers, instructors and rescuers, they make you friends with the life under water. A must visit I say, I have already been spreading the word in my circle. Its a whole new world to be explored , and it just gets better with TA. PS: Take sea sickness precautions or else the whole experience wud turn into a nightmare. I just finished my Emergency First Response and Rescue Diver course with Temple Adventures and I got to say it was awesome. I had the best time learning new skills and how to become a better diver. The entire team was not only professional in their approach to teaching, but made the learning and the exercises great fun. The team is a big family and welcomed me with open arms. I actually had a hard time leaving the dive centre and go back to reality. The diving was beautiful. We had a 30 m visibility in crystal clear water at Aravinds Wall and super cool fish life. Big fish as well as macro sea life. Then we went to the Temple Reef, an artificially created reef, which was loaded with schools of all kinds of fish, many large gropers and tiny beautiful nudi branches. I recommend Temple Adventures to everyone interested in a fun activity! Ever since I first dived with Temple Adventures, the fun has never really stopped. Be it above the sea or below it, you can always count on them to make the day an awesome one for you. With the recent dive to 50m on a site which was never visited by anyone, (they even let us choose the name of the site), I feel more connected to the place. With a wide range of dive sites all around the eastern coast, from beautiful artificial reefs to diving under the pier, and from quarries to the continental shelf of mainland India, you can have a feel for any type of diving you want to do. It was an amazing dive to be remembered and cherished for a life time. One of the most thrilling experience along with friendly people for a good scuba. Temple Adventures helped create a thrilling experience. Scuba diving for my first time I was scared of plunging into the ocean yet instructors were so kind and friendly I wasn't scared at all, and they're training prepped me up just right. I really recommend going to them. Good trainers and had a wonderfull time, one improvement is the boats can have.some sort of shelter to protect divers from sun on the head. All the family were impressed by the seriousness of the operation in Pondicherry, my 11 year old passed the PADI Junior Open Water certification and very much enjoyed the experience. 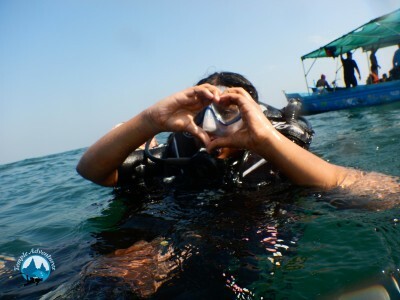 Having done the PADI certification years ago my husband and I did a refresher and found ourselves completely in phase. Did my Rescue + EFR with these guys, and the training was intense ! The instructor is an old school tough guy, and he really believes in making sure you know what you are doing, whether administering CPR ("if you're not breakin' bones, you're not doin' it right !") or how to help a panicked diver ("punch him if you have to"). Also a lot of fun after the serious stuff is over. They have some great dive sites down there, specially The Wall, that one could dive maybe 20 times. They are a full service facility for Scubapro as well, which was handy for a compass strap I needed. All in all, given the constraints they operate in, a stellar dive operation. Scuba was a good experience all around. At the shop, the staff were quick, efficient and pleasant. They use good equipment, the best dive boat made. The conditions were difficult due to high wind, but the instructors were helpful and informative about how to enter the water and exit in high swells. 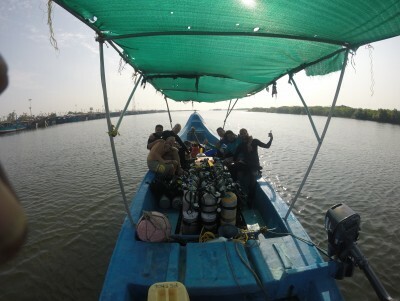 They were very attentive to those who felt seasick, and moved to a sheltered location so that everyone could enjoy the second dive in protected waters. En route, they dropped off the more experienced divers so they could swim in, and spend more time swimming over reefs and seeking sea critters. And on top of that, they were a lot of fun. If they were this good when conditions were difficult, they must be fantastic when conditions are pristine. Nice People, Great Experience ! I really like the way they make everyone participate in packing their gear, transporting them and cleaning them eventually. Have fun diving with Rob & Arvind! Our team was comfortable in reaching to temple adventure right from contacting them regarding booking our slot till we left (after the scuba adventure) the temple adventures office. Theory explained regarding the scuba diving especially regarding the pressure conditions in deep sea were awesome. But I was a bit disappointed with the practice session of the same. There was a swimming pool size practice pool was in mind, but it as about 3 foot height and 5 foot deep. I believe this pool size and hygiene conditions can be greatly improved. The transport to the deep sea (18meters deep) is good. The friendly nature of the diving masters who have assisted us to go deep into the sea was great. But I'm a bit disappointed by the quality of the water even though I'm not sure if the water quality can be any better in the surroundings of pondicherry. We were a group of 7 people and all of us have opted for taking a photo (by paying expensive 500 rupees per person) inside the deep sea. But the photos were issued with a confidence that the deep sea pictures of the all of us were copied to the pendrive we gave (there was no consulting any of us before issuing the photos is done with any of us). Very unprofessionally the photos of 2 of us were missing in the folder copied by Temple Adventures. It wasn't the end of my bad experience with Temple Adventures. I have raised my concern for my photos in the deep sea (along with my body description and attaching one of my recent photo). Very poor response has been received from Temple Adventures after continually bugging them to respond. And the disappointing and distressful response is that they could go back a couple of days in the photo database and couldn't retrieve my photo. And finally there was no more final response from them. Therefore I would not recommend Temple Adventures for scuba diving to a friend. 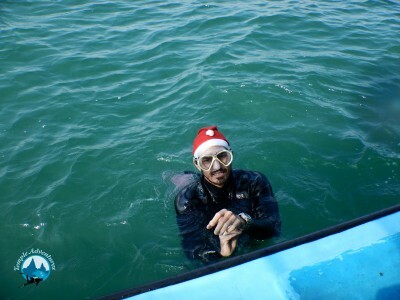 I dived with Temple Adventures in November 2013 - due to relatively bad weather the dives were not great. However, I was very impressed by the friendly and professional service by the team working at the dive centre - and particularly became fond of their dog! Diving has always been on my bucket list, but the fact that my wife was apprehensive about deep waters was pushing us to put it off! Once she made up her mind we narrowed on temple adventures and am sure glad we did!! Right from when we spoke to them till when we finished it was one of THE most exhilarating, fantastic, fulfilling and fun filled activity!! My wife and I, who are not expert swimmers and my young son finished the course! Julien who started off as our instructed, ended as our friend!! He really saw us through the entire process!! Hats off to him!! I think the group deserves ANOTHER 5 stars for julien!! Rob AND the cool food served at their place is also worthy of a very good mention!! All in all...a rocking time! You have converted this family as divers for life!